Charlotte Perriand is one of the foremost figures in twentieth-century interior design. Together with her contemporaries and collaborators Pierre Jeanneret and Le Corbusier, she created many pieces of furniture we now consider classics, including the instantly recognizable LC4 chaise. Her pioneering work with metal was particularly instrumental in paving the way for the machine-age aesthetic popular throughout the 1920s and ’30s. 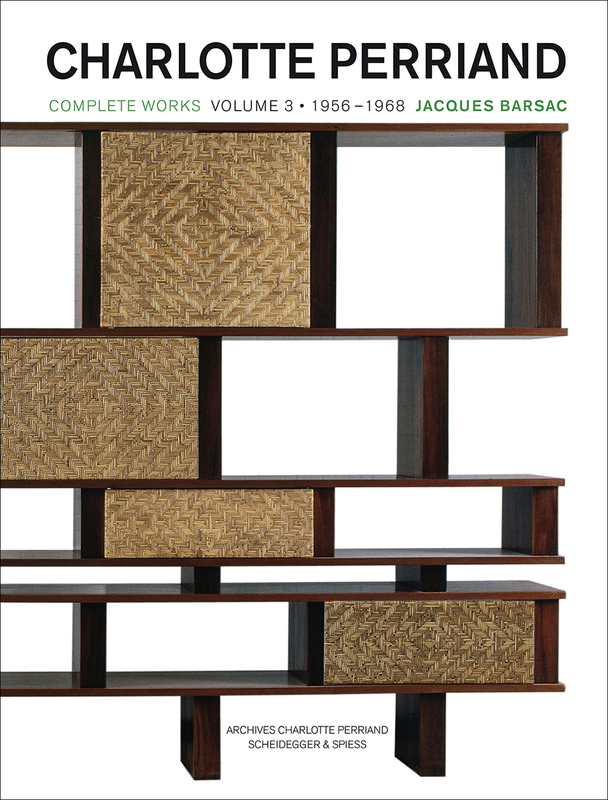 The third volume in a planned four-part series, this lavish book covers the years between 1956 and 1968. During this period, Perriand established a relationship with the Galerie Steph Simon, which exhibited and published some of her most iconic work, as well as that of renowned contemporaries Serge Mouille, Georges Jouve, and Jean Prouvé. Perriand also completed several high-profile projects throughout the 1960s, most of which are published here for the first time, including comprehensive branding and designs for Air France’s offices around the world and the renovation of the Palais des Nations, where many of her designs for furniture and the assembly halls she decorated remain in use and relatively unchanged to this day. The new volume also documents comprehensively her close, yet little-known, links to Brazil. Covering these important moments and many others, Charlotte Perriand continues the four-volume exploration of this key figure, complete with annotations and a bibliography for further research.